No matter which type of computer user you are; home, small business or large organization, we all share something in common; the cost of doing business. Everybody wants to save money. 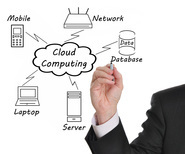 The cost of running and managing a home or business computing environment is becoming more and more challenging. Every operation needs to have some type of computing environment, whether you have a single computer or 1000's, your cost to operate and manage are taking away from your profit margin. Our Service offers enormous savings by helping you to reduce not only your IT cost, but to reduce your office footprint and continue to work in a high-speed network environment. By employing our Service, you'll never have to purchase another PC, server or Operating System license again! With solutions from threeDays all you need is an Internet connection to get enterprise-class technology for your home or business, without the cost and hassle of managing IT yourself. Freeing you up to work on your business. Looking for an alternative, pre-tested, green and easy to deploy solution that will give you the ability to access your data anywhere and will not break your budget? With our service you will find just that. Learn how you can reduce maintenance costs by 75%, reduce power and cooling requirements by 90% and be a leader in your community with Green computing. Our Service gives you the enterprise-class technology your business needs, without the cost or hassles of an on-site solution. You supply the Internet connection and we deliver an enterprise-class network right to your device. It's affordable, scalable, and simple. Our installation packages comes with simple instructions listing what the customer needs to do—how to plug the equipment in, how to turn it on, and how to setup an IP address. That’s all there is to the process. Our customers simply enter their unique username and password, and they are immediately able to access their applications from any Internet connection. You'll never have to purchase another PC, server or Operating System license again! With solutions from threeDays, all you need is an Internet connection to get enterprise-class technology for your home or business, without the cost and hassle of managing IT yourself. Your data and applications will be safely stored on servers in state-of-the-art data-centers, with 24/7/365 monitoring, built-in network security, and back-ups. Enable your workforce with secure remote access to your entire corporate network anywhere, anytime, from any Internet connection. 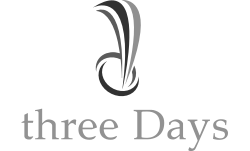 threeDays helps you protect your business and continue operations in the event of a disaster. When you have our service you'll have a built-in Disaster Recovery and Continuity of Operation plan (DRCoOP) complete with back-ups and 24/7/365 network monitoring. So your business data and entire network infrastructure will be protected and available, even if your physical location is completely destroyed. Anywhere, anytime, any device. Regardless of what computer you are using (tablet, laptop, smart-phone, desktop), your access and view of the data is always secure, consistent and up-to-date. Manageability – manage your environment from one centralized location. Cost-Savings – costs thousands of dollars less to deploy. Green Technology – drastically reduce energy expenses, using 75%-85% less energy than PCs. Security - Users can be prevented from downloading files that contain spy-ware, malware, and viruses because all applications are controlled and stored in the data center – not the desktop.